A robber has been jailed for seven years for pulling a 75-year-old man to the ground and stealing his Rolex watch and wallet. Alexander Billinge, 26, and an accomplice threatened the man during the robbery in Blundellsands, Merseyside in October 2016. Det Con Neil Jones of Merseyside Police said it was a "particularly nasty robbery on an elderly man". 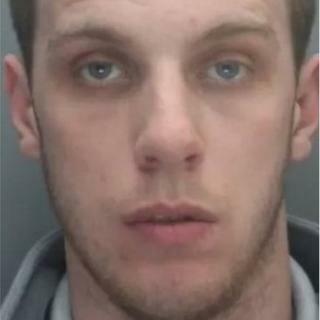 Billinge, of Lyneham, Whiston admitted robbery at Liverpool Crown Court. In a personal statement shared with the court, the victim, who has not been named, said: "I was putting my car away one day and the leaves behind me just rustled and I nearly jumped out of my skin. "It has made me nervous but I hope that will go away. Before this happened I didn't feel nervous about anything." Det Con Jones said: "The victim was not seriously injured but he was left visibly shaken and shocked by his ordeal." Adding: "I hope that it means that the victim can now move on with his life and finally put this upsetting ordeal behind him."